We are one of the prominent manufacturer, exporter & supplier of quality Measuring Equipments for textile mills across the world. Our range is fabricated in our advanced manufacturing unit by our expert professionals using quality material. We are the well known manufacturer, exporter and supplier of Measuring Equipments to our clients. 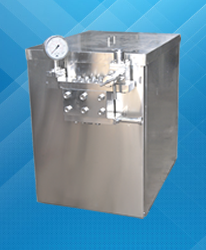 Our equipments are highly used in various industrial applications. These measuring equipments include High Pressure Homogenizer ( Micronizer ), Textile Measuring Equipments, Digital Tachometer, Measuring Meters etc. These are easily available in the market as per standard measures and are checked at various levels to deliver a defect free range.